What is up with the salsa cravings?? Since I started losing weight I can’t seem to get enough of it. I’ve been wondering why, and I think I may have found the answer. Last week I bumped into my friend Kelly at a graduation party. She’s lost 100 pounds in the last year. I asked her how. The short answer was that every time she wanted a sugary treat, she ate a pickle instead. By eating a low calorie food instead of a high calorie food she resisted temptation and cut calories. But she thinks there is more to it. She talks about it in her blog. It intrigued me, and I did a little digging around, too. According to some sites, vinegar can be used to help balance insulin levels resulting in less sugar cravings. I think I have my answer. Kelly reached for pickles, which have vinegar. I reached for salsa, which has vinegar. 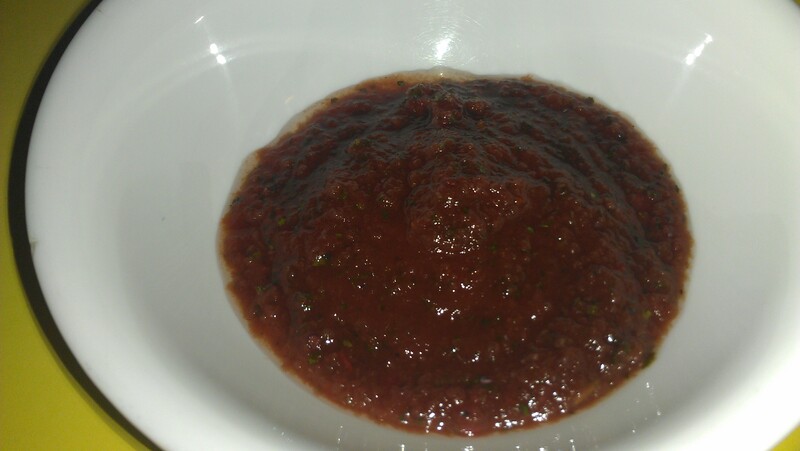 My body knew intuitively that salsa would curb that craving for something sweet and make me feel better. So that’s my tip for today–when you want something you don’t need, grab a pickle or eat salsa! And here’s a bonus tip. Unfortunately most of us want to pair chips with salsa, and most of us don’t need to eat a lot of chips. This week I solved the problem by scrambling eggs and smothering them in salsa. Yum! Got my salsa fix AND ate a healthy, low calorie, high protein breakfast that kept me full all morning. Can you really lose weight by eating pickles? Are some cravings good in weight loss? My friend Paula shared her weight loss secrets in a recent post. It is a great article and I wanted to share it with my readers.